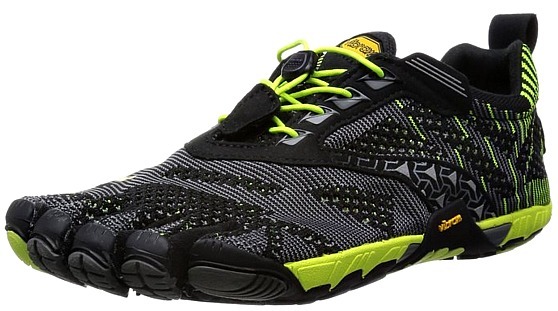 If you are seeking a minimalist shoe that is structurally capable of handling long distance running, mud obstacle course races, rocky, uneven trails, or soft grass, my Vibram Five Fingers KMD EVO review will enthusiastically convince you that the KMD EVOs are one of the most durable Five Finger running shoes that gives you the biggest opportunity to make a positive difference in foot/ankle strength and overall mechanics. 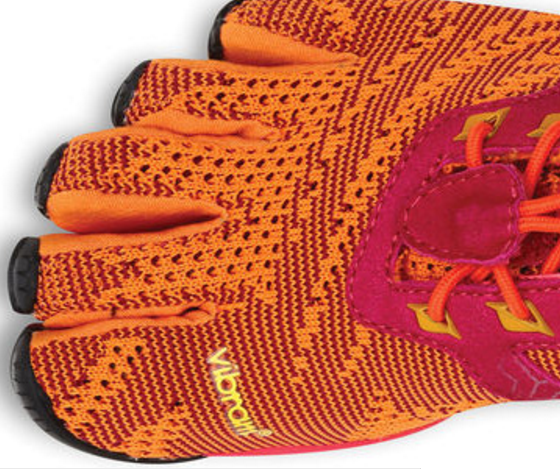 If you liked the Vibram Bikila’s, the KMD EVO are a more protective, warmer version. 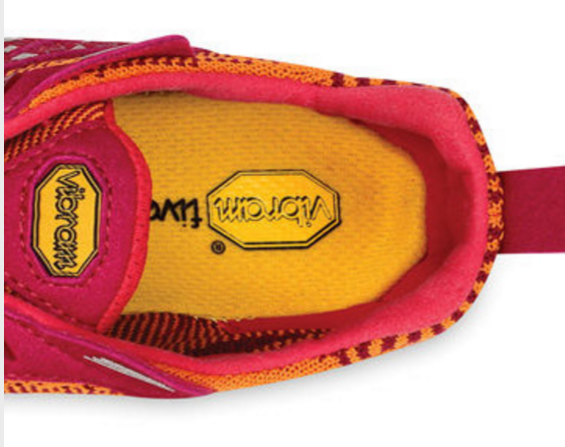 Like all Vibram running shoes, the KMD EVO’s are barefoot-inspired, structurally complimenting the anatomy of the human foot; they help improve sensory-motor coordination, but are tough on rocky paths, so you don’t feel every pebble under your foot. The KMD EVO adds a little extra padding under your foot, making it a more comfortable trail running shoe as compared with most Vibram Five Fingers footwear. How much protection does the KMD EVO provide? Some minimalist runners may argue that the KMD EVO is too cushy, but there are many forefoot runners who enjoy super cushy shoes. So, if you love that cushy, plush, softness underfoot feel, this is why you’ll love the KMD EVO: it has a total of 11-mm of underfoot protection (2-mm EVA sock-liner + 6-mm EVA midsole + 3-mm rubber outsole) preventing painful pressure points on the foot during forefoot running. Similar to the Vibram Trek Ascent LR, the KMD EVO is designed with exceptional durability, making it a superb endurance trail running shoe. The KMD EVO is also highly flexible and responsive –great for leaping over obstacles, making them highly suited for Tough Mudders and Spartan Races. The under-foot materials provide a slight cushioning system, but still delivers an appropriate level of ground-feel to accommodate your forefoot strike. The tread patterns also delivers exceptional and aggressive traction in a variety of conditions. 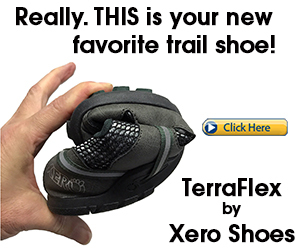 Overall, the net positive of the shoe is a trail racer that can handle serious mileage and trail races, and enables you to connect clearly with the Earth with more stability, while providing adequate protection against rocks and roots! The KMD EVO is also foot conforming, giving a personalized fit, especially if you have wide feet! Withstand the challenges of rugged trails and get more connected with nature in the KMD EVO. 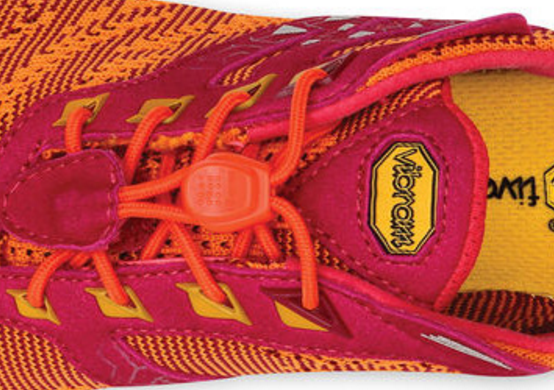 Only such a shoe has the capacity to make you a better, stronger forefoot runner and achieve real results. I also did a YouTube review of the shoe to give you a better impression on how amazing the shoe is! 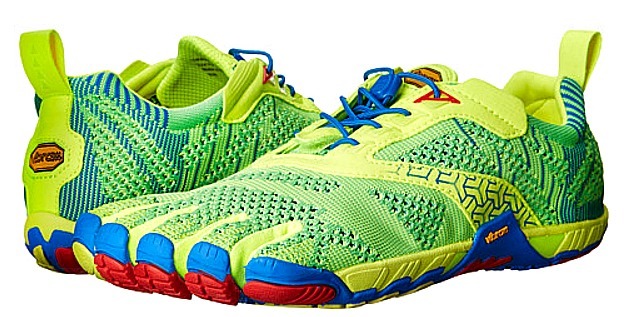 If you love barefoot running shoes, you’ll love my other recommendations on these shoes for forefoot running. Still lost on why you need to run in barefoot running shoes? 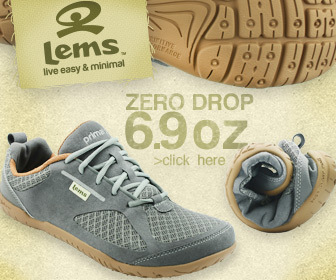 Read my post on the countess benefits of zero drop running shoes. Finding it hard to forefoot strike? It could be your cushioned footwear. 3 detailed steps on how to learn forefoot running. Who is Tirunesh Dibaba and Why We Need to Run Like Her? 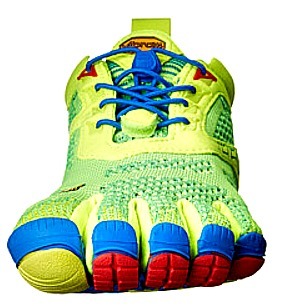 Best places to get Vibram FiveFingers online. How do you think this compares to the Trek Ascent? I am torn between the two and trying to decide which to get next. 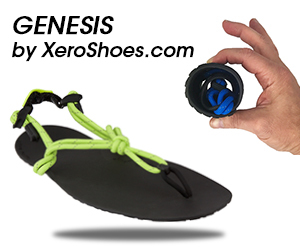 I love my KSO and KSO Evo pairs but need something a little better suited for trail running and obstacle course racing.